Rachel is Salomon’s favorite and adored by her husband, Eliezer. But everything she holds dear is threatened as the marauders of the First Crusade massacre the Jews of Germany and her father suffers a stroke. 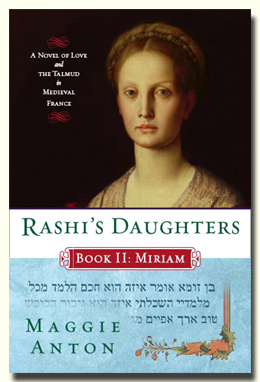 Eliezer wants them to move to the safety of Spain, but Rachel is determined to stay in France and help her family save the Troyes yeshiva, the only remnant of the great Talmud academies. A stunning achievement. You will not be able to put this book down, and may even find yourself rushing off to study Talmud. --Judith Hauptman, Professor of Talmud and Rabbinic Culture, Jewish Theological Seminary; author of Rereading the Rabbis, A Woman’s Voice. Having no sons, Salomon continues to teach his daughters the intricacies of the Talmud in an era when such scholarship for women was unheard of. Miriam, a midwife and a mohel—performing circumcisions—cannot foresee how she will be tested. Especially when a handsome and learned suitor arrives in Troyes, one who struggles with a secret that, if revealed, would expose them both to ruin. In 1068, the scholar Salomon ben Isaac returns home to take over the family winemaking business and embark on a path that will indelibly influence the Jewish world—writing the first Talmud commentary, and teaching it to his daughters. Joheved, her mind and spirit awakened, knows the risk and keeps her learning hidden. When she weds, must she choose between marital happiness and her love of Talmud? Joheved has a secret … she is no ordinary girl. Smart and independent, her life changes when her father, Salomon ben Isaac, begins teaching her Talmud. 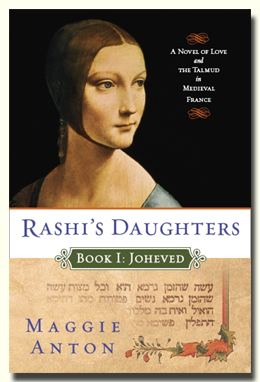 But Joheved hides her passion for learning - even from her betrothed. 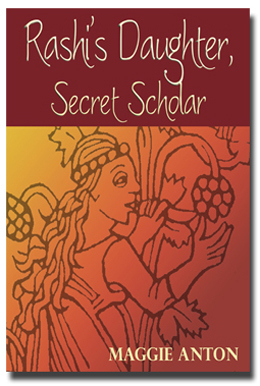 How long can she continue her deception and what will happen when, inevitably, her scholarship is revealed? “Teenage readers will relate to Joheved as she questions her society’s expectations, seeks love, and grows into adulthood.” --Deborah Bodin Cohen, rabbi and author of Lilith’s Ark: Teenage Tales of Biblical Women (National Jewish Book Award Winner). 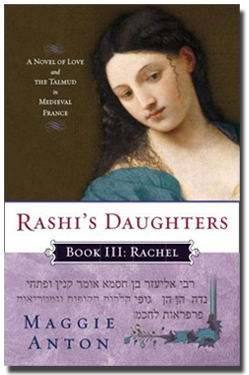 To get the latest news on Rashi's Daughters, visit the author's blog, become a fan on facebook, or sign up for email updates.